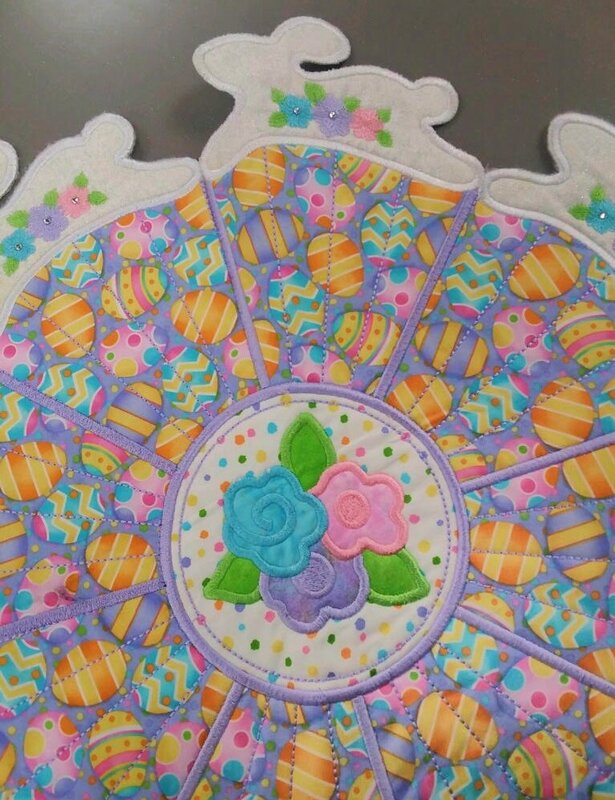 Create this cute Easter Bunny Centerpiece all in the hoop! It measures 20" across. You will need a 6 x 8 hoop. This project will be sure to provide a festive Easter look on your table and bring a smile to that bunny in case he drops by! Oh wait... do bunnies smile?